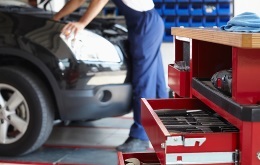 Auto Body Shop Insurance Insurance in Chula Vista, National City, Vista & San Diego California - American Tri-Star Insurance Services Inc.
Keep in mind also that you may need separate coverage for your commercial auto's, workers compensation and group employee benefits like health and life insurance. Let one of our auto body shop insurance specialists find the right coverage for you today. Contact us to find out more about auto service insurance in San Diego California including the Long Beach , Los Angeles, Riverside, Sacramento, and San Francisco areas.